Are you like many people who are sedentary during the winter months because you don’t like being out in the cold? Maybe your arthritis or other ailments prevent you from going outside because the cold weather makes your joints more painful than usual. Well, take heart, you’re not alone. Many people don’t exercise in the wintertime and look forward to the onset of warm weather so they can exercise or play their favorite sport. Start out slowly and progress at your own pace. Begin light exercises or stretches before spring arrives. Doing so will help prepare your body for a more intense workout or strenuous activity. Always stretch before you exercise, run, or play ball. Stretching is key to preventing injuries. Sprained ankles are very common, especially among individuals who play sports that require your body to respond quickly, like basketball. A sprain happens when the ankle is twisted and results in a torn tendon or ligament. To prevent an injury, warm-up with these stretches, calf, and shin raises single-leg balancing and ankle circles. Generally speaking, sprains can take a few months to heal. So you must be patient and give yourself time to work your way back into your activities slowly. Groin pulls are especially common in men. This kind of injury happens when the inner thigh muscles are strained. Picture a fan that is spread out, then all of a sudden, it is stretched to its limit and tears. This is what happens when you pull a muscle in your groin. Again, stretching is essential in preventing injury to this region of the body. Some stretches include the side lunge, standing inner thigh, deep glute stretch, and windshield wipers. Many people who play golf or tennis complain of “tennis elbow.” The medical term for it is epicondylitis. When a person repeatedly uses the same joint over an extended period of time, the joint gets worn out, and the repetitive motion causes tiny tears in the tendons. Tendons attach the muscle to your bone. Strengthening this area of your arms is a great way to prevent this kind of injury. Some of these exercises include squeezing a soft nerf ball, wrist curls, wrist flexor stretch, and reverse wrist curls. Shin splints are another injury that can be prevented. This kind of injury most commonly happens when a person has not exercised in a long time and begins a strenuous activity without warming up the body. Wearing the wrong kind of sneakers or sneakers that are worn out can also cause damage to your shins. When the muscles that surround your shinbone become inflamed, this is called shin splints. To prevent this from happening, you should slowly increase any weight-bearing exercises and don’t start out aggressively. Always make sure that your sneakers fit properly and are in good condition when you exercise or perform any physical activity. Runners, as well as track and field participants often experience hamstring strains. The hamstrings are muscles that are in the back of your thigh. These muscles are strained when they are overstretched by quickly kicking up your leg while running and by jumping hurdles. 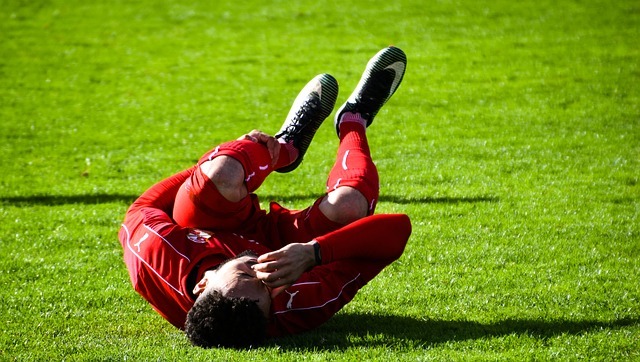 This injury is usually a result of inflexibility in the hamstrings or from not stretching enough before and after you exercise or compete in track meets. As you can see, there are many injuries that people can prevent. Most of the injuries are preventable through adequate stretching before you begin any kind of physical activity. If you have any of these common sports injuries or any other injury that is preventing you from exercising please consider contacting us by filling out the form on our homepage or calling on of our clinics in the St. Louis area.